Former Microsoft CEO Steve Ballmer has never been one to shy away from expressing his opinions. His demeanor on (and off) the Redmond campus has long been marked with passionate outbursts. And so when he expressed his enthusiasm about getting into the hardware space, Bill Gates and the Microsoft board weren’t exactly on the same page. According to Fortune, this was a contributing factor to the two tech legends drifting apart in the early 2010’s. 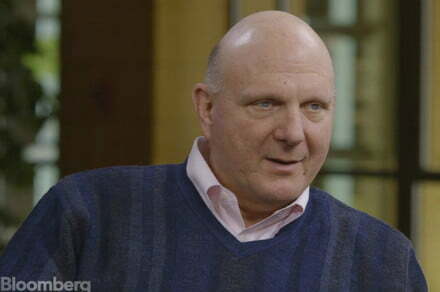 Bloomberg adds that Ballmer’s only regret was not moving into the space sooner. “I would have moved into the hardware business faster and recognized that what we had in the PC, where there was a separation of chips, systems and software, wasn’t largely gonna reproduce itself in the mobile world,” he said to Bloomberg. As history now records, Microsoft did get into the phone and tablet side of things, albeit a little too late to take a forceful position in the market. Their first tablet, the Surface RT, rolled out four years ago and didn’t do too well — Redmond had to take a $900 million write down, which never looks good to stockholders. Ballmer pushed for the eventual $9.5 billion dollar purchase of Nokia Oyj’s handset unit, and most of the entire value of that deal required a write down. Again, not a great sign for Microsoft. Ballmer left Microsoft two years ago after a 14 year run, and now owns the NBA Los Angeles Clippers. Presumably, there are no iPads or iPhones in the Clippers locker room.